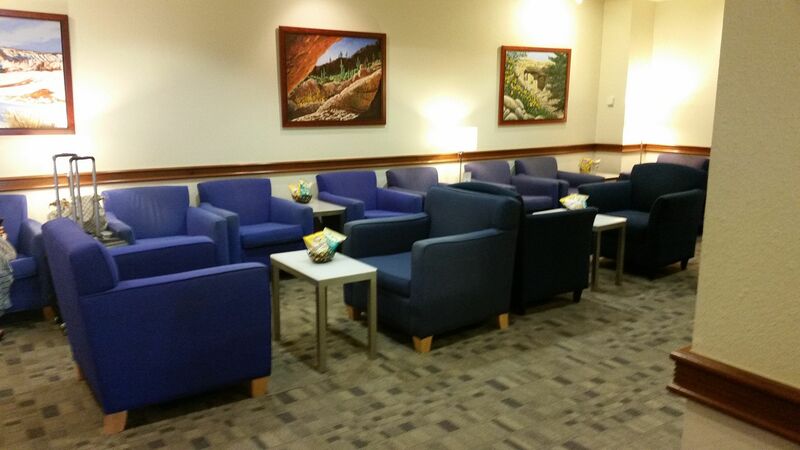 Phoenix Will Replace Small Priority Pass Space With New 10,000 Square Foot Lounge: Whose Will It Be? 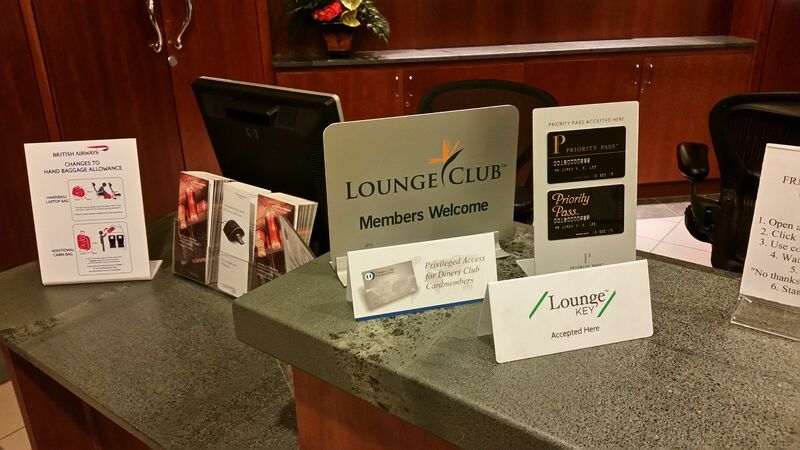 Currently Phoenix Airport’s terminal 4 B concourse has a Priority Pass-accessible “The Club” lounge. It opened in 2014 and it quite small, 2985 square feet. It has food and drink, but the furniture is dated and there are no restrooms inside the lounge. As it happens there’s plenty of room upstairs, and it appears that the airport is clearing out some of the other upstairs uses in order to turn the space into a new lounge as the original contract on the current lounge space expires. As Chase premium credit card signups have grown, more Priority Pass cards are out there, lounge visits grow. The lounge is generating just under $25 per visit on average across all sources. 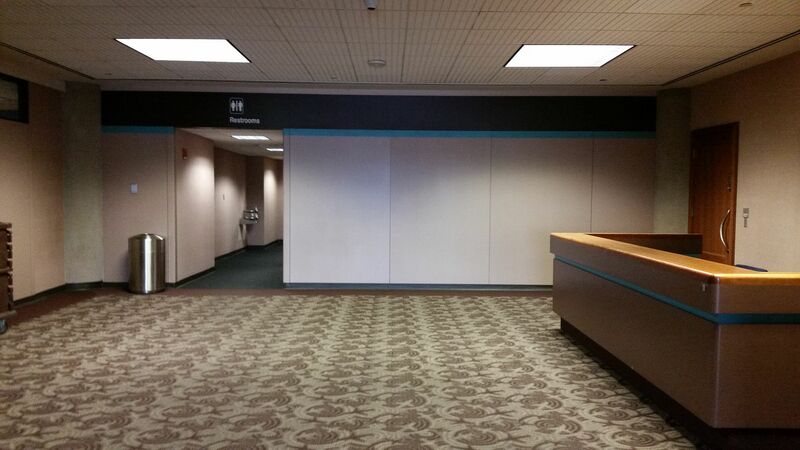 Development of the new lounge should start in December, assuming there are no delays awarding the contract. It’s unclear how long the current lounge may remain open during that process. They’re offering a 5 year lease and two one year extensions. Given the amount of money American Express invests in their lounges — generally more than double the minimum $250 per square foot Phoenix requires for proposals — they usually want 10 year terms to amortize the cost. “Access to customers flying on any airline, regardless of class of ticket, for a fee” in other words not exclusive to American Express cardholders. “Access to customers belonging to partner organizations (airlines, credit card companies, etc.) with complimentary lounge membership benefits” perhaps such as Priority Pass or as an American Express Platinum add-on the way Escape Lounges provide. However with 9,532 square feet up for grabs for a lounge, it’s conceivable this could get snapped up by American Express for a Centurion lounge — or perhaps less likely could become an Escape or Airspace lounge. YAY! The current lounge is rarely accessible. Anything will be better! What will BA do for their lounge? Your negative comment on Newspapers was disappointing. I really value a hard copy newspaper of quality in a lounge. Good reading material in the air and no worries about charging/carrying a larger device/keeping it after reading. It is expensive to buy a paper in an airport and nearly free for a lounge to provide it — very compelling part of the value proposition! Something I learned not that long ago at that lounge… At 3:30 PM it becomes exclusive to BA BUT if you have already checked in prior to 3:30 pm you with your Priority Pass membership, you can continue to access it after even if you leave and want to come back. I haven’t needed to this yet but thought it could be useful in some situations. I think AA should build a Flagship lounge in the 2nd floor space and “The Club” should remain on the 1st floor – please hear me out. It would be a great option for the BA flight while still keeping a common use club around for the credit card holders. It would also be a wonderful addition to the airport for international onward connecting passengers (those flying to ORD/DFW/PHL/CLT…really any other AA hub) and connecting onto a qualifying international AA flight. It is not necessary, but it sure would be nice! 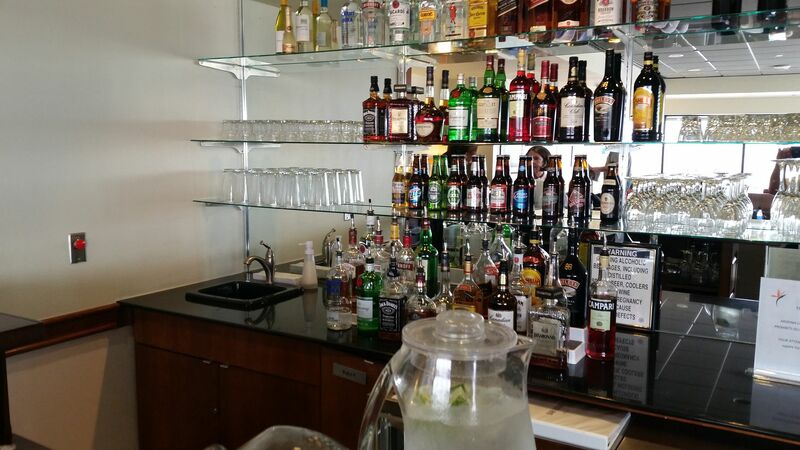 I use the escape lounge when I fly out of Oakland, and it is one of the nicer lounges I’ve been in stateside. Food is good, drink selection is great, and it is rarely crowded. This would be a great improvement over what is at Phoenix now. Sure sounds like the BA only hours would have to go away. I’d call it a longshot but if it goes American Express Centurion, it could only help the chances of PHX getting more nonstop international flights. I was at the Club PHX 2 weeks ago. 1. The space was upgraded recently. Much better chairs and carpet, though the food and drink remain the same. 2. Take it with a grain of salt, but a lounge associate said that The Club is expanding into that new space; they expect to take the new area. So I would expect this to remain a PP lounge going forward, not an AMEX lounge. Plus, given the added space, I would not be surprised to see PP entry expanded beyond the limited time. The additional space in part was the former Lufthansa lounge, and is currently used as training and meeting rooms by the airport if I understand correctly. If the entire space is repurposed including the common areas and restrooms then I could see the Check-in space moved to the terminal level, and perhaps space to add a few showers as well which would be a first for PHX. With the second BA flight three days per week in the summer half of the year, the extra space is already needed and this will be a welcome addition. A year or two ago the airport had plans to turn part of this space into the Pet Relief area… fortunately the BA Station Manager was able to squash that plan! I too was disappointed at the offhand remark on Newspaper and internet news. When in a distant city or country, nothing like getting hold of the local / national newspaper to get real ‘feel’ of the place. Plaza Premium is trying to make in roads in the US market, starting with Denver. I think that it will remain a Club, but I would be surprised if Plaza Premium doesn’t bid. The current lounge has show huge growth in the earlier hours of the day while being closed in the evening for PP. Since the Club has to show its financials, operators will see that it is a viable location which I think will increase the price.